How would you feel if you were asked to speak in front of 20,000 people? We’ve all heard about the New York Times best selling book The One Thing. With this book, co-authors Jay Papasan and Gary Keller achieved something very few authors ever do, though most dream of it: they had penned a phenomenon. Speaking requests came in from across the globe. Jay thought he had it made; he was the introverted writer, and Gary was the brand, the one who’d be doing all the public speaking. Then all of a sudden, late afternoon, he gets the call: Gary has decided he wants Jay to come on stage too – the very next morning. And this was no normal stage; Jay’s first time speaking in public would be in front of thousands of excited attendees. Ask any introvert how he or she feels about getting up to speak in front of that many people, and you’ll likely see a grimace of horror. In this episode you’ll discover the secret to how Jay overcame his fears. It’s no surprise that introverts aren’t huge fans of public speaking. 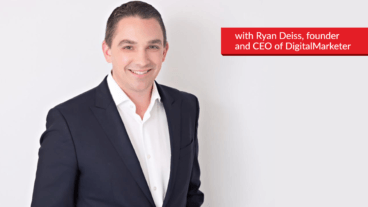 But if you’re a business owner, you know that there’s plenty you have to do in your day-to-day that you don’t necessarily like, but that is crucial to the success of your business. Yes, public speaking is one of those things, and yes, you can learn to do it well. 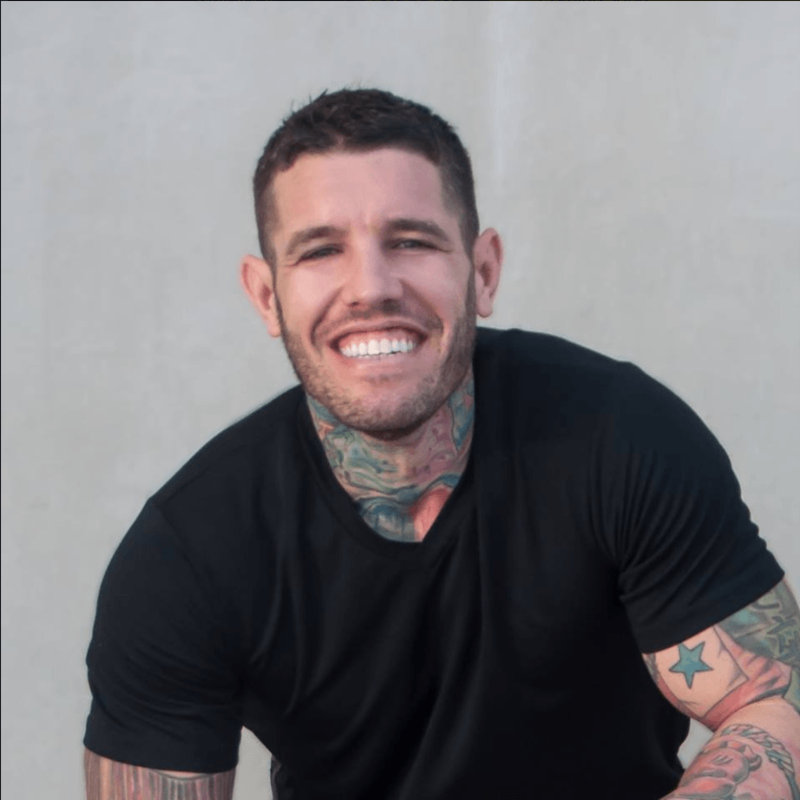 As an introverted writer, Jay was surprised to learn that his skill set needed to include competent public speaking; it makes all the difference between being an author and being a bestselling author. The same is true for your business. Delivering a pitch to a group of investors, attending a networking event, or discussing your product onstage at a conference or trade show, public speaking is a required part of growing your business. Matt: Hello everyone, and welcome back to another episode of The Introvert’s Edge. Today I’m excited to introduce Jay Papasan. 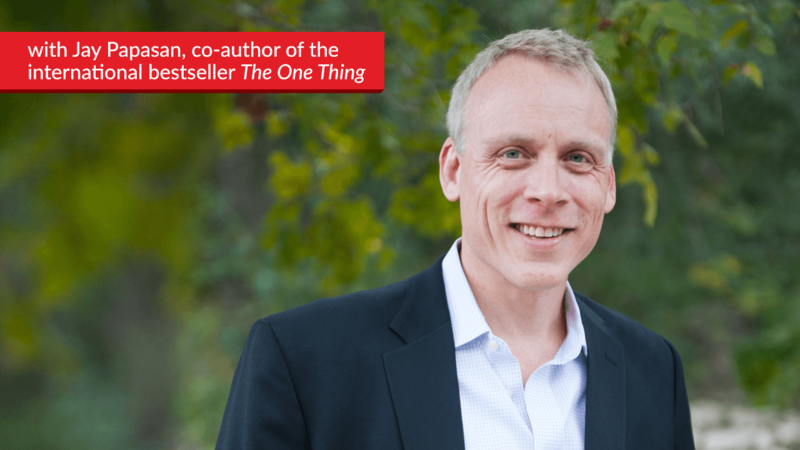 People will probably know him as the co-author of the massively successful book, The One Thing. Jay, welcome to the show. Jay: Thanks so much for having me, I’m really pleased to be here. Matt: I’m super excited about having you on the show. I mean, firstly I mean – look at the view that you’ve got in the background. I was saying – so I do some work with your team, and Don Hobbs and the team over at MAPS Business Training. And I was joking with you beforehand about every time he took me to a different boardroom, and I got a different, amazing view of the Austin greenbelt. Jay: Yeah, we’ve got about three sides, with some really nice green on them. The other one – the fourth side is MoPac Boulevard, which is not nearly so pretty. But I lucked out, my current office has a good view. Matt: Yeah well, you want to keep those bestselling books happening then, don’t you? Jay: Well I keep it behind me, so I can keep writing. Matt: Well that’s – it’s exactly it. I actually – it’s funny, I lived in an apartment in Melbourne that had a view of the entire city. But there’s nothing like the creative vibe that you get when you’re writing around nature. And I think Austin has that unique ability to really have that. Where you’re kind of only a few minutes from town. But you still have that beautiful nature behind you, or in front of you the whole time – which is just fantastic. Jay: I was very surprised when I moved to Austin. I didn’t realize how many trees and how green it would be. You think of Texas, you think about tumbleweeds and canyons. And it’s a unique little island in the middle of the state for that. And I – I love it. I like the water, I like the trees. Matt: Well we’ll let you stay then, mate. I mean, as an Australian – I have to say that Austin’s one of those places, like – I have traveled to so many countries around the world, so many different cities. And Austin is the only place outside my hometown, where I’ve landed and gone, “Oh, thank Christ I’m home.” And it’s just such an unbelievable city. There’s so much culture, and I just love it here. But enough about Austin, and let’s get into you. I mean your story is really, really interesting. And I’m sure nobody believes that you’re an introvert. I mean you’ve come from real estate sales and you’re a co-author of a bestselling book, and you speak everywhere. I really wanted to hear about your story about where you came from and some of the barriers you had, and how introversion kinda played with that to get you where you are today? Jay: I’ve always been like a bookish, quiet kid. I mean that was it. I mean, I played by myself. I have memories of playing by myself on the stairs in our split level home. Just for hours on end. So I had a big imagination, I loved to read books – and eventually I loved to write. That happened much later. So introversion is no barrier to writing. It actually works for you, right? Go get in a cave, and produce your work. I’m not distracted by people. I can be very task oriented. That’s all good. The challenge comes – that if you want to have a book that sells. And that means you have to step out of your comfort zone. So there’s a lot of different little veins that I could go through here. But first I would correct – I am not a real estate sales person. I work in the real estate industry. My wife runs our real estate team. And one of the big “aha’s” I’ve had, as I’ve kind of grown up in business – is that, introversion isn’t a barrier to achieving anything. It does sometimes mean you have to succeed through someone else. Or you succeed a different way. So we own multiple businesses now. And obviously we’ve sold close to three million books, between all the books that we’ve written. And so I’ll go – the moment of truth for me – I’ve been happily in the background. Always in the background. And our writing partner, Dave Jenks, retired. And every year we did kind of a state of the union at our company meeting. And it would be Dave Jenks and Gary Keller onstage, in front of like 8000 people. Matt: Oh wow. So the heart rate started to–? Jay: And I’d never–8000 people. It’s a huge auditorium, right – at the Orlando Convention Center. And the lights are on, and all you can feel is this dark cavern that you know is full of people. And I don’t know that I’ve been that afraid ever – but I kind of put a brave face on it, and I knew that it was just a matter of about 90 minutes. That’s how long we were up there. And I learned some lessons like – I didn’t know, I didn’t have a head – earpiece in. So every time Gary talked and he wasn’t facing me – his voice would go all the way to the back of the room, and then come back. So I would hear this garbled echo. So like, he would turn to me with a question, and I had no idea what he said. Matt: And that’s advice coming from Gary Keller, who’s an introvert himself. Matt: So that was the process of really trying to desensitize yourself to the fact that you were speaking to people? Jay: ‘Cause he told me the truth, right? It really is helpful if you want to write a bestselling book, to feel comfortable in front of a large body of people. And so I got so much advice that year. I mean, one of the biggest things I – two things I carried away. I now know that if I prepare for four hours for every hour I’m on stage, most of my fear goes away. So that’s – anxiety – so my stage fright, mostly– So it’s four hours for every hour, and I still do that. And the other one is – if you think about introverts, right? There’s a – we used to use the DISC Behavioral Profile, right? And it just broke people into four groups, instead of the big broad buckets of extrovert and introvert. But there’s a group called High S’s, and essentially they’re the people who are super supportive. They’re very warm. And I got to where I could identify them in any crowd. Because I would go out, and it was John Davis who told me to do this. He goes – he’s our current CEO – he said, “Jay, divide the audience into three quadrants – so you talk to all parts of the room. And find those people. And you’ll know them, ’cause they’ll be sitting up straight, they’re going to be nodding their head at you and smiling. Because they’re more afraid of your failure than you are. Like they’re going to feel it with you. So they are sending all the energy back.” And I do that to this day. I’ll find – ’cause everybody else is on their phone. You can have this inner dialogue. But I just talk to like three people in the room. And so just a couple of strategies. One – I jumped out there, and just committed to desynthesizing a preparation strategy so I wouldn’t sabotage myself. And then kind of a psychological strategy, so that when I’m actually up there, I’m talking to the minority in the room that are 100% engaged. So I think that year was the year I discovered – at least around that area – that just three things – being a little purposeful – three different ways of approaching things. I could really achieve something I didn’t think was possible for me. And I’ve – I mean, I’ve walked in front of – I think the biggest crowd I’ve been in front of is close to 20,000 now. And it took a lot of energy. Like I was exhausted afterwards. But I wasn’t just in a state beforehand. Matt: I think that’s amazing advice, Jay. ‘Cause I think from – from myself personally, when I was learning to speak– I mean, the three people idea that you were just talking about. That was everything for me. I mean I’ve had Jaime Masters and Ryan Deiss talk about their public speaking. They like to imagine nobody’s there. And that works for some people. ‘Cause what works for some introverts, doesn’t work for others. For me, I need the validation that people are enjoying it. And I take that from those three people. So for me, I draw my energy. 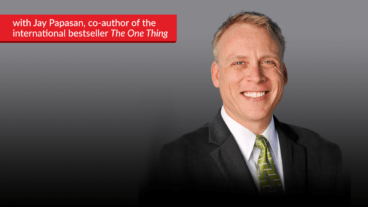 I think my nerves went away when– It was Jim Cathcart, who’s an amazing speaker, that just shared with me, “Just focus on those three people, and everything will change.” And for me, it really did. And I think it’s so valuable, what you’ve shared about the fact that it’s strategy that makes you successful on the stage. As opposed to – just having that buoyant personality. What I would like to go back to though is, in regards to – you kind of talked about four hours for every hour that you spent on the stage. When you’re doing your preparation, what goes into that process? Jay: I don’t rehearse out loud. I feel very uncomfortable doing that. I don’t – I know some people, that’s their thing. I literally will print out my slides in note format. And I– Some of these I’ve done many, many times. But I will mentally start a clock, and just start going through in my head what I would be saying. And I just kind of go through it. I rehearse the facts. If there’s a story, I might take notes. And if I’ve done that for an hour speech, I’ve gone through that four times. By the fourth time, I’m barely looking at the notes. I just kind of know that about myself. So I’ll do it on the plane. I’ll do it – literally sometimes I’ll be still doing it right before I go on stage. ‘Cause I just – I’m doing something, instead of just sitting there being nervous. I’m really interested to hear though – like you’ve spoken in front of some amazing – well, huge size audiences. Tell me about the mindset now when you go up. Do you just bounce on the stage now? Are you comfortable, or–? Do you still get terrified every time you go on? Jay: I always get nervous. I’m preparing for a filming tomorrow. And after we get off this call, I’ve blocked a huge part of time, just to prepare for that. ‘Cause I don’t want to be nervous. So I treat it like a game. I enjoy teaching. I don’t get any validation from the spotlight. That doesn’t do anything for me. I don’t – there’s a lot of what people like about the stage, that doesn’t do anything for me. It actually takes. But I want to know that my mission was to communicate three ideas. I really wanted to bring value. And when I’d go off the stage – invariably, you get to meet some of those people. And if I hear that they got those things, then to me – I’m like touchdown, good to go, I’ll go onto the next one. So I view it as a task, right? And an event. Like I’ve got this, I have my goals, and I want to make sure I achieve them. Matt: I 100% do that. Actually – even before I knew the three things, I used to focus on just one person and think that I was having one conversation. Which made me a very one-dimensional speaker, ’cause I wasn’t speaking to the whole stage. But I was still learning. And that’s actually how I met Jim Cathcart. Jim Cathcart was that person standing in the front of the stage, giving me my energy. And his advice to me afterwards was, “Don’t just do it to one person, just pick three.” And I – still to this day, yeah – I go and thank those people. Because they may not be the person I may get as a client, but they were the person that made sure I could deliver to everybody in that room. So I totally get it. And as an introvert, I think – for me – I’m not sure about you, but I need to come from a point of authenticity. So I need to believe that I’m sharing value with people, not just sharing it to an abyss. When you go and deliver your presentations – I’m interested – when you say you want to get through three concepts – do you have a format that you follow? Do you go through like a lecture style, a dot point style, a story style? What – how do you share your message with the world? Jay: I think that the rule of three’s been around forever. Like back to my journalism classes. People tend to remember threes very well. I – we almost always build models in all of our books. So I will usually identify what’s the core thing I want them to walk away knowing? And usually a couple of supporting ideas. And those might have five steps in them, but I know that – like for The One Thing, the book. Like a lot of times, I want them to understand how positive habits are formed, why it’s important and then how to do it. That would be a classic speech. And then I drop in the slides and the talking points that I think would make that work for that audience. But I try to keep it simple, ’cause if it’s a lot of stuff going on in my head, then I get nervous, and I need even more time to prepare. Matt: I think that’s really valuable. And I agree with you. I talk about three concepts. I think if you go more than three concepts, people get overwhelmed with the amount of information. And if you go less, you’re kind of stretching yourself out too much. So I agree – three steps is exactly the right format for doing this. I – I guess one of the other questions that I have – just before we transition is– When I went and learned to be a speaker, what I found was there were a lot of extroverts that had lots of advice for me. And some of that worked for me, a lot of it didn’t. So I’d really like to hear your path of how you got help, how you mastered the art. What was the trajectory, and what didn’t work for you? So I’ve definitely gotten advice. But one of the things that extroverts have helped me – like Geoff Woods, my partner on The One Thing. He does The One Thing Podcast. He’s a natural extrovert. He’ll always remind me, “Bring your energy up, Jay. You can be very intellectual, you can be very inward energy.” And the thing about being on the stage, and the bigger the stage – that’s why like in theater they have all that makeup on. You kinda have to exaggerate everything. And so that’s nothing that an introvert would’ve told me to do, ’cause it wouldn’t be natural for them either. So I do try to ask the question, “What can I take from them, that I can apply? And what does that look like for me?” Like I’m not going to go out and start telling stand-up comedy. I’m not going to do that. I’m not going to do karaoke. But I could tell a personal story. I can bring the room down, and then bring it up. And I can crack a couple of clever jokes every now and then. And I remember to use my body language. So I just ask – alright, I get energy, big motion, big smile. I can do that for a period of time. But I have to do it my way. I spent huge amounts of time, and so has Jay – becoming better, and better at the art of public speaking. Because you’re always going to be able to perfect it. And for me – I know – well, Australian’s speak quickly. But when I’m nervous, and I’m onstage – I speak crazy quick. So for me, it was about learning just to slow down. I mean, did you find that, Jay? Jay: For a Southerner, right – all of my family already thought I was from the North. Because I – especially when I’m in my zone, I can start talking fast. But I was told to use silence. I mean I’ve had a lot of great people that I trust – Don Hobbs, a mutual friend. He’s done a lot of stage appearances. They just – I ask for their advice. Because I know if I’m working on things, I’m getting better. And then what I’m most kind of afraid of – it’s not even the performance, it’s that feeling that I don’t know if I bombed or not after. Like I can second guess every single thing I did. And so interacting with people, knowing that I’m working on it. And I often will let people know, in some – try to find some way to let them know that like, “Hey, I’m not as comfortable up here as you think I am.” I don’t want to apologize for it. But people will come up and go, “What do you mean, you’re an introvert? You just spoke to all these people.” And I said, “You can do what you practice.” And so I’ve practiced. Matt: I think that’s the best piece of advice that any introvert can hear, is just practice. It’s not an art form that you either have or you don’t. It’s a skill that can be learned and mastered. And so – Jay, I’m going to ask you to come back for a second episode, where we’re going to talk about some of the introverted advantages you have. 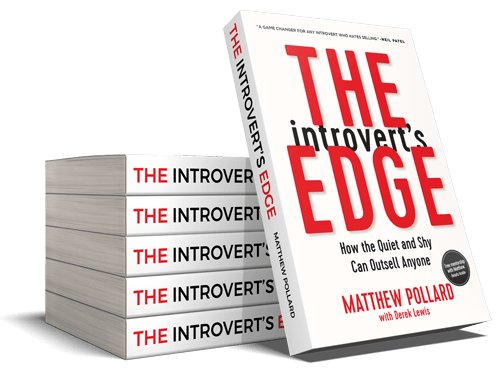 For those people listening that are getting a lot of great value out of this – please make sure you subscribe to The Introvert’s Edge, to make sure that you get notified when there’s some great content, some new content that’s out for you. And also post a review, to help us get up those charts, and make sure that more introverts get access to this content. But if you’re looking for episode 2, make sure you go to theintrovertsedge.com/jay. And I look forward to seeing you there. Thanks for joining us, and I’ll see you next time. Cheers.